I’m sorry blog I have been neglecting you. I’m ready to get back to you and all my unfinished projects. Even though it is Spring I thought I would still post this tutorial. One way to recycle an old sweater is to just make it into something else, right? My husband is an ironworker which means he works outside no matter what the weather. When it is really, really cold he has to wear something under his hard hat to keep warm. I made a head cover for him this winter and he was very grateful. He calls it a balaclava. 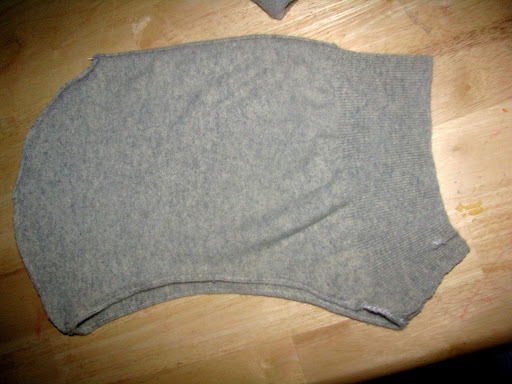 Before: I meant to take a photo before I cut out my pattern. My pattern was another head cover. 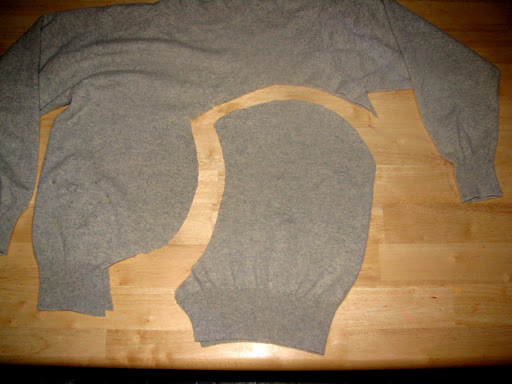 I cut it out on the bottom and side of the sweater. 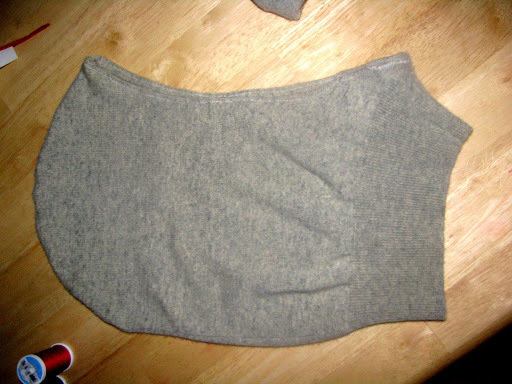 This way the ribbing on the bottom of sweater fits nicely around the neck and part of the seam from the side is already done, less sewing baby!! You can enlarge this photo and use it as a pattern if you like. This is the inside. I just sewed around the top to the edge of the existing seam. 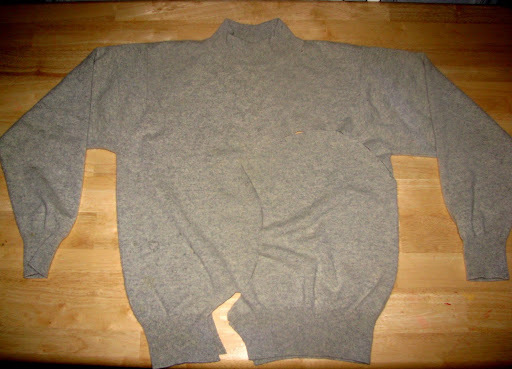 Then I sewed a seam at the neck which was the bottom of the sweater. This part will fit under the chin. Then I made a small hem around the face area. You can use binding or just use a zigzag stitch. 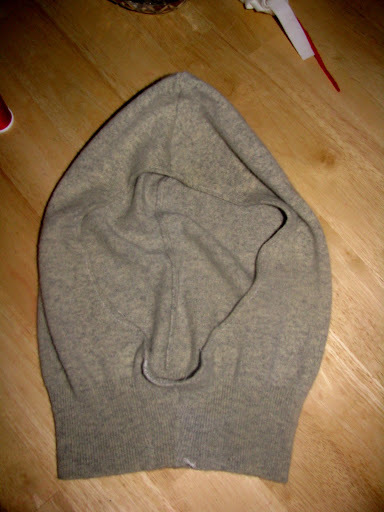 This is the outside of the head cover. Since I used an old sweater I had to repair some holes. You can see that the front is gapping a bit. Not to worry. My husband wears a beard so this fits nicely on him. I used an old cashmere sweater my mom gave me some time ago. It was thin which worked perfect to wear under a hard hat. If you want to make something like this for kids then I would use a thicker sweater or fleece. You could even embellish it with felt flowers for little girls. The sky’s the limit. You clever thing! I can't stand to have my ears and head exposed to the cold. I have a bunch of old sweaters. I think I could do this (crudely). Thanks for a a great idea. Thanks too, for sharing your color coincidence with me and my blog. Always so nice to hear from you.